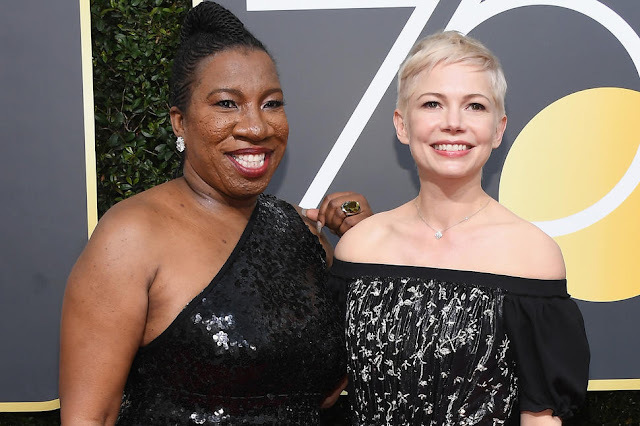 In case you missed last night's Golden Globes it was perhaps the most refreshing award shows in recent history because the focus wasn't on who wore this and that or what underrated show or movie beat out someone more deserving. This time, stars wore black in solidarity with the #metoo movement and now the #timesup movement, started by women in Hollywood to say 'the clock has run out on sexual assault, harassment and inequality in the workplace.' 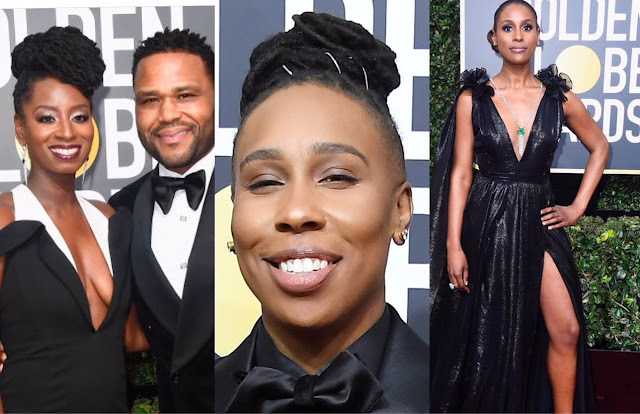 And like actress/writer Lena Waithe added, times up on racism and homophobia too. There were many winners from last night's show, but here are 7 that are sure to make you feel all warm and fuzzy! 1) While 'This Is Us' Star Sterling K. Brown made history as the first black male to win a 'Best TV Drama Actor Award' it was his recount of unexpectedly delivering his baby at home, as told to Ryan Seacrest, that is the real winner! 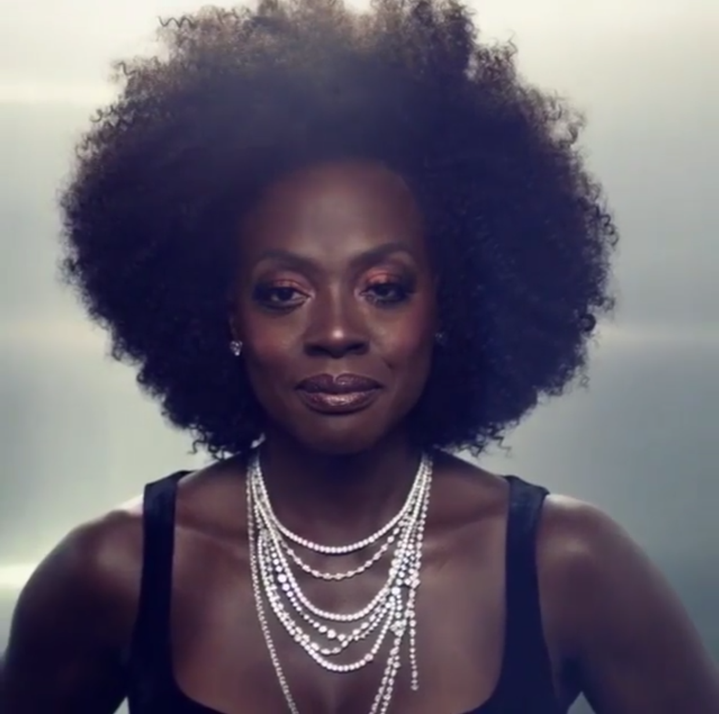 2) Viola Davis' Fro was MURDER! 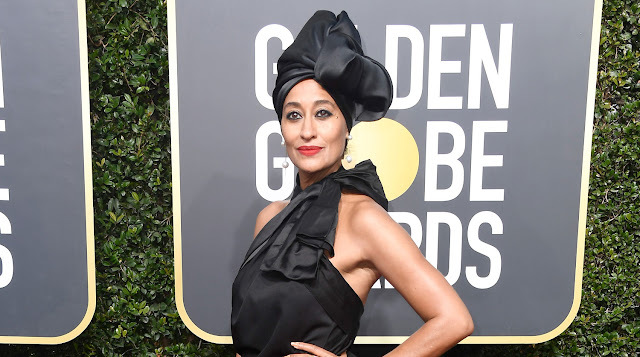 3) Tracee Ellis Ross' African Queen-Inspired Headpiece don't get no blacker! 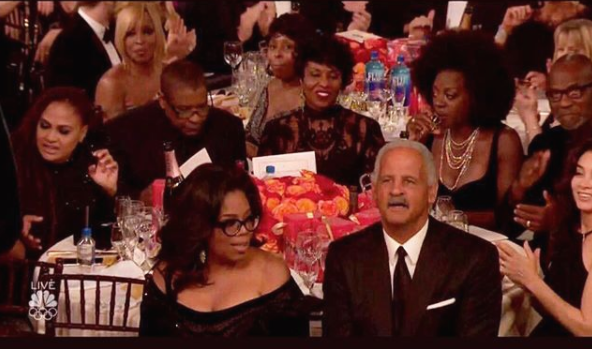 4) Oprah's acceptance speech for the Cecil B. DeMille Lifetime Achievement Award was so good people are calling on her to run for President! 5) THE BLACK TABLE...Seriously, was there any cooler place to sit? 6) #metoo founder Tarana Burke makes activism and glamour look effortless! 7) The last winner of the evening goes to celebrity hairstylist and natural hair expert Felicia 'Loving Your Hair' Leatherwood for rocking out all three of these ladies in one night! Goooooo Felicia! Congrats to all the winners, as there really are no losers, when it comes to us. 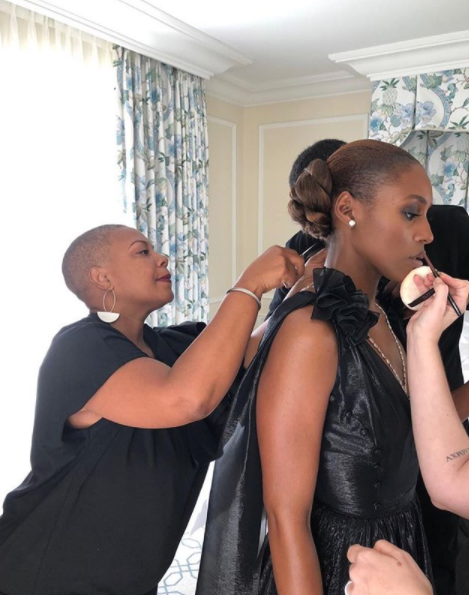 We will forever be- in the words of Issa Rae- rooting for everyone black! What were some of your highlights from last night's Golden Globes?? ?